Almost everyone has a turn with a bad boss. Our careers include time with a bully, a blowhard or a borderline egomaniac, giving us all great material for cocktail party stories, but leaving us with acid reflux and shaking hands. I can think of one in my life (fortunately not a recent vintage), and maybe you can, too. The story of Lieutenant General Patrick O’Reilly that came out during the week of July 4th struck me, leaving me remembering my days with Godzilla. In case you missed it, here are some details about the general’s reign of terror in the US Missile Defense Agency. O’Reilly, while considered brilliant and an expert in his field, also bullied and berated his people, at least according to the dozens of statements taken by investigators. His repertoire of supervisory torture tactics included yelling, screaming, threatening, berating, insulting and the creation of a toxic atmosphere that had subordinates either heading for the doors or shutting down in fear. O’Reilly, according to some, frequently killed the messenger. Dealing with someone like this is one of the most challenging workplace issues, and the military command and control structure made this case that much more difficult for subordinates to navigate. In the private sector, we have more choices, but none of them are particularly easy to execute. Here are a few to consider. Leave. Yes, this requires a job search and all of the pain that goes with it, but if your boss is that bad, it could be the best decision. The moment of resignation will be a personal victory. Talk with the Boss. If you have the guts to do it – and we all need to find the nerve at some point – ask for a meeting and ask your boss this question: “How do you think it makes me feel when you yell and scream?” This may, of course, lead you back to option #1 above, but sometimes a direct approach is best. Take it to HR. If your company has a functioning HR department that acts when complaints are made, this is an option. An important point to consider, though, is your performance before taking this action. You will be seen as more credible if you have good performance. If you don’t, the complaint could be seen as a smokescreen and an excuse for your own shortcomings. Build Relationships. If you work for a larger organization, there may be opportunities to build relationships that are outside of your current boss’s area. Over time, this could lead to a job working for someone else. Or, it could give you support when the time comes to confront the bully. Finally, these relationships may give you insights about the company, your boss and the issues that you had not previously considered. Of course, you can always read the articles about O’Reilly. Your boss probably isn’t that bad, right? That will make you feel better. 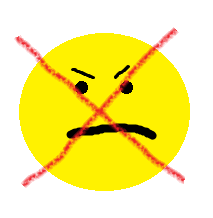 Let your competition have the grumpy people that hurt your business with bad customer service. American Public Media’s Marketplace ran a Freakonomics Radio piece this week about customer service. As is true for most of their work, it was entertaining and made a great point. This week I also spoke with a long-time friend who is working with Sheetz, the Pennsylvania-based convenience store chain, as they aggressively expand in North Carolina. Both experiences had a similar theme. When you’re talking about employee quality, you get what you pay for. Pay more to get rid of the grumps. The Marketplace story makes a simple, really an intuitive point. If employers spend more to attract and retain quality employees, they will take better care of the customers, helping beat the competition with service that drives customer loyalty. Costco and Trader Joe’s are two examples. I would add Sheetz to the list. As my friend was describing the Sheetz environment, he explained that all employees in the organization, right down to the part-time cashier working a few hours a week, earn a bonus based on the store’s performance. If the unit hits its goals, all share in the rewards. Performance above goal juices the bonus and all get more. Deliver the goods and get more green in your pocket. Simple! The plan has created a culture where the entire team cares about sales, service and profitability. My friend also shared that they have been able to attract great employees from their competitors, hurting the other business twice with people and market share victories. Compare that to other companies that view payroll as a cost that should be reduced whenever possible. These are the places where people work when they have no other option, but quickly abandon when better opportunities arise. If you own or manage a business, there is a lesson to be learned. If you care anything at all about your customer’s experience, better employees matter. They will stay longer, learn more, provide better service and build a loyal customer base. When viewed as a cost to be minimized, employees at the low-wage employers will deliver quality commensurate with their pay. Business leaders, make a decision. Do you want the grumps on your team, or your competitor’s? Bill Florin writes on business and entrepreneurism when not busy helping clients with their career marketing needs at Resu-mazing Services Company. Getting to the airport early is the first rule of travel, right? That, at least, is what the TSA pounds into our heads. Wanting to do right by the federal employees who have the authority to pat me down when I don’t want that particular experience, I always get there with plenty of time to spare. It’s important that they have time to count and scrutinize my three-ounce bottles. Last week was no different, and I had lots of time to sit, watch and listen. If you have ever been in the Westchester County Airport (NY), you know that it is small. When waiting, travelers are sitting just feet from the gates, leaving lots of opportunity to observe airline employee behavior. Here is what happened. Ms. Not-so-Snotty Passenger accepted this answer, turned and sought out the seat that she would fill for a good portion of that afternoon. She would never know that her delay was so heavily determined by this single airline employee. Her seat had not been filled; the agent simply did not want her in it. So what’s the point? If you own or manage a business that employs people, your best efforts at advertising and systematic customer service excellence can be snuffed out by your AGAs. What are the values that you work to teach and demonstrate, hoping that your team will make the right choices? Whether you work solo or in a large organization, finding ways to stretch and serve internal and external customers can make the difference between success and failure. That decision to slam the door on that one passenger was more than an inconvenience. It was a demonstration of the culture of that airline, something that will not be undone by advertising and other efforts to tell me how great that airline is. One person can make all the difference. Yes, come on board, or no, go sit down and wait. Almost every day I hear concerns from clients and colleagues about the challenges of searching for a new job. Here are three issues that I have been talking with people about just this week. Age Discrimination. Everybody 50 and older has the same concern. “How can I create a résumé that is honest and that also conceals my age?” These people all share the suspicion that once they are identified as older candidates, employers run away. The notion of ignoring an entire class of experienced, knowledgeable and wise people seems foolish. I wonder what company is going to take a leadership position by actively seeking older candidates who can balance their work force and increase internal diversity of thought. Will anyone do it? Come on, decision makers! Give everyone a chance and drop your stereotypes about older workers. Bias Against the Unemployed. Congress and President Obama are talking about regulations to protect the unemployed as there have been some employers accused of specifically declining to consider unemployed candidates. The leaders of all organizations concerned about public relations and those wishing to do what is right need to consider the decision to systematically refuse to consider otherwise qualified people. Preying on the Unemployed. Those who have been laid off and have been searching for work are under enough stress already. This stress manifests itself physically and emotionally and has some job seekers at the breaking point. There should be a special punishment for those who take advantage of these people. I am talking about people offering themselves as résumé writers, career coaches and experts who have one interest only: extracting as much cash from the desperate and hopeful as they can while doing as little work as possible. If you are in a position to improve on these conditions, step out and do it. If you are a job seeker, be aware and be on guard. If we all work together, our small quiet changes can add up to create real change. As we flip burgers, watch fireworks and maybe, just maybe, consider the history behind the holiday we celebrate on July 4th, consider your own independence. What are the actions you are taking and the plans you are developing to express yourself and show your independent thinking, motivation and decisiveness? Are you growing, learning and making yourself more valuable, or maintaining the status quo, hoping that the pink slip never comes your way? If you work for someone else, what are you doing to deliver more value than your pay? In the last 30 days, have you done something creative, original or innovative to show your organization that you are engaged and committed to the mission? Maybe your independence is freedom from the stress that underperformers feel, knowing inside that they are not giving their best. If you are the boss, what are you doing to encourage independent thinking and innovation among your people? You can’t possibly have all the good ideas. Encourage innovation and celebrate risk taking. 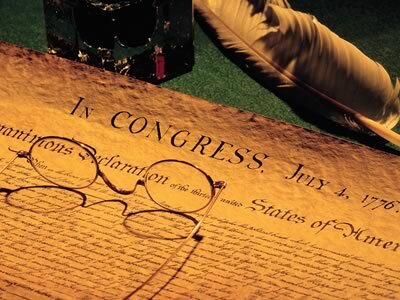 Independence Day was not the end, but the beginning of an experiment by independent and free people. It’s an experiment that continues to evolve 235 years later. Take a few minutes over this weekend to consider how you can advance your own experiment and solidify your independence. Happy Independence Day! If you are a leader, you probably have had to consider employee engagement and motivation. I was involved in a conversation this week about this, and some of the points made brought me back to some basic business education material: Herzberg’s Motivation Theory. Why? 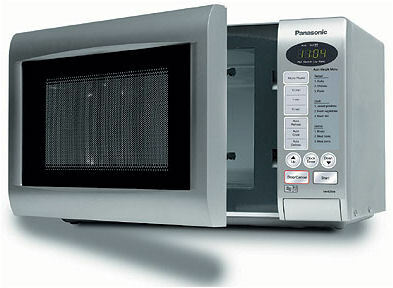 The talk was all about how an extra microwave in the break room would make a big difference in the employee experience. Sorry, it doesn’t really work that way. Herzberg published his theory in 1959, and it has been a foundational topic in business education since then. Why, then, do some believe that environmental improvements will make a big difference? Maybe because simple changes are quick, easy and cheap, allowing the manager to check the box – “Yes, we did that” – and move on. These leaders should not be surprised, though, when employees don’t bow and say, “Thank you, sir, for the new tables in the employee lounge. I will never leave this company.” Having the right flavors of Doritos in the vending machine may eliminate a demotivator, but it will never drive engagement. improving lives). I have personally seen and experienced this in organizations in different industries, and knowing the bigger picture and the “why” behind the work can sometimes be the fuel to help employees make it over the next steep hill. Pay attention to the basics and eliminate elements that frustrate employees, but understand the limited upside of the efforts. To realize significant results, there will have to be significant effort. Recognition, strong cultures of trust and teamwork and genuinely engaged leaders focused on the needs of the employees will create great results, but these all take hard work. Rest up, re-energize and start the real job of a leader: empowering and engaging employees to deliver on the goals of the organization. By now we have all seen the videos and the pictures and the countless talking heads that have yammered on about the events in Pakistan and President Obama’s leadership in taking down Bin Laden. There are at least two points that we should all learn from these events. First, sometimes as leaders we have to make hard decisions in which everything is at risk. The decision to send the SEAL team to Pakistan to complete their mission could have been the end of the Obama presidency. Had the mission failed, this event would be spoken about in the same way that President Carter’s mission that ended in crashed helicopters and dead soldiers in the desert was discussed: A poorly conceived and executed plot that ended badly. Obama’s stature as a leader and the US’s reputation in the world would have been badly damaged. The Pakistanis would have been able to say, “If you had been good partners and told us about this ahead of time, we could have helped you.” Obama would be running out the clock to January 2013. The second point is that when you make a decision, you have to stick with it and be there to see it through to the end. This is not to say that we cannot change and adapt to changing environments, but we do have to be committed, and lead others through the initiative. 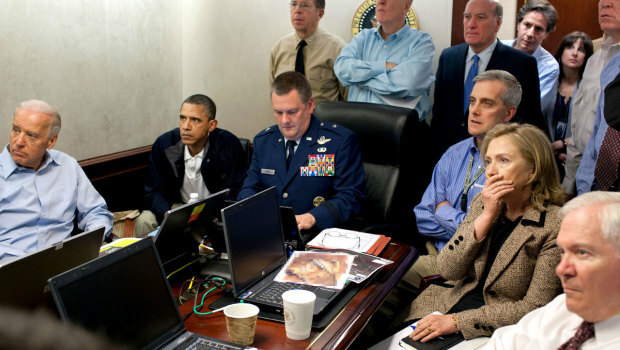 Obama’s riveted focus on the mission in the now famous situation room photo – with his staff gathered around, fixated on the unfolding events – gives us a taste of his commitment. Are you as committed and focused on your initiatives? This is not about politics, nor is it about the ethics of the decision to pursue this action. It is about leadership and being fully vested in your decisions. We saw history this past week, and it will serve us all well to learn from it.